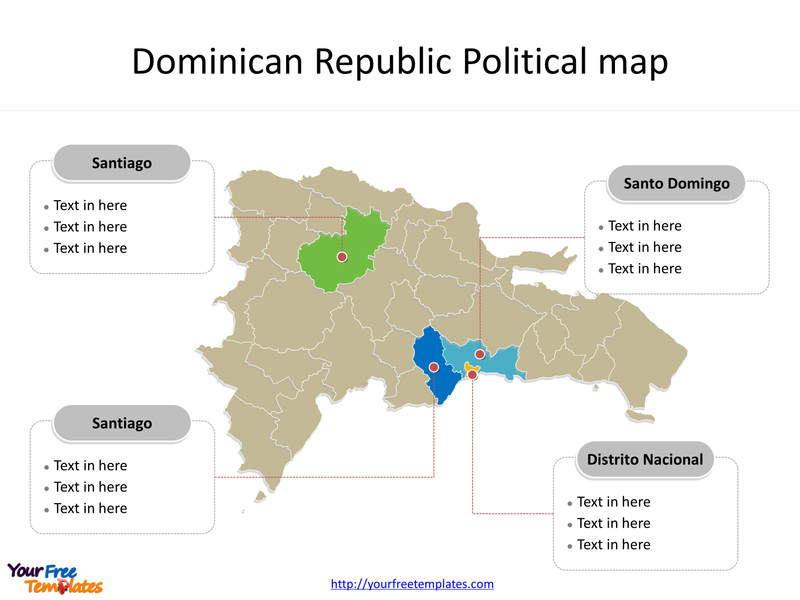 The Map of Dominican Republic Template in PowerPoint format includes two slides, that is, the Dominican Republic outline map and Dominican Republic political map. 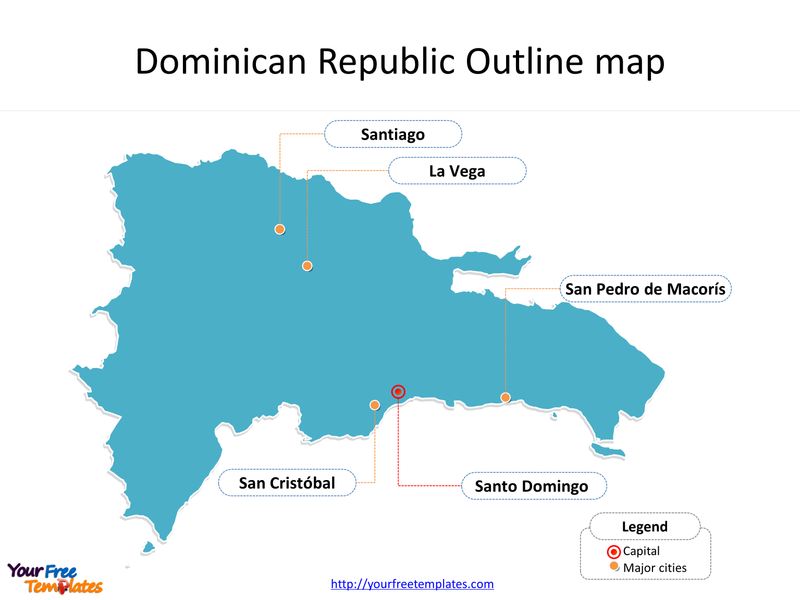 Firstly, our Dominican Republic outline map blank templates has capital and major cities on it, which are Santo Domingo, Santiago, La Vega, San Cristóbal, and San Pedro de Macorís. Secondly, there are thirty–one provincias in our Dominican Republic map blank templates, labeling the most populated provincias that are Santo Domingo, Santiago, Distrito Nacional, and San Cristóbal. The Dominican Republic Map blank templates include two slides. Our Map of Dominican Republic is for the sovereign state located in the island of Hispaniola, in the Greater Antilles archipelago of the Caribbean region, North America. Firstly it occupies the eastern five-eighths of the island, which it shares with the nation of Haiti, making Hispaniola one of two Caribbean islands, along with Saint Martin, that are shared by two countries. Secondly The Dominican Republic is the second-largest Caribbean nation by area (after Cuba) at 48,445 square kilometers (18,705 sq mi), and third by population with approximately 10 million people. Its capital and largest city is Santo Domingo, other major cities including Santiago, La Vega, San Cristóbal, and San Pedro de Macorís. You can found them in our Dominican Republic map blank templates. Slide 2, Map of Dominican Republic labeled with major Provinces. It is the public knowledge the Map of Dominican Republic is the country political division of 31 Provinces. Firstly, there are 31 provinces in this country. A-L provinces are Azua, Baoruco, Barahona, Dajabón, Distrito Nacional, Duarte, El Seibo, Elías Piña, Espaillat, Hato Mayor, Hermanas Mirabal, Independencia, La Altagracia, La Romana, and La Vega. M-V provinces are María Trinidad Sánchez, Monseñor Nouel, Monte Cristi, Monte Plata, Pedernales, Peravia, Puerto Plata, Samaná, San Cristóbal, San José de Ocoa, San Juan, San Pedro de Macorís, Sánchez Ramírez, Santiago, Santiago Rodríguez, Santo Domingo, and Valverde. Secondly, the most populated provinces are Santo Domingo, Santiago, Distrito Nacional, and San Cristóbal. What is more, every individual political subdivision is an editable shape. The labels and shapes are grouping by layers. In a word, you can change the texts, colors, sizes, highlight some map shapes, and add your charts. At the same time you can also refer to the fully labeled Map of Dominican Republic in Wikipedia. 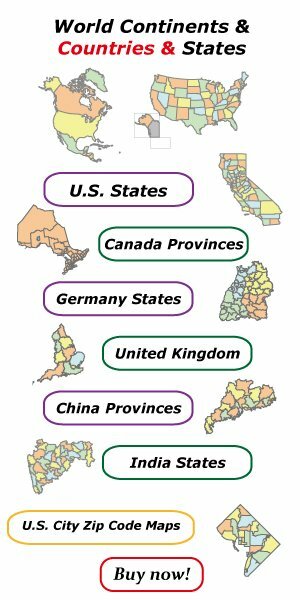 Believe it or not, analysts from marketing research companies, consultants from professional firms think highly of our website yourfreetemplates.com; most important of all, and our maps can help to reduce their efforts and create good-looking maps.